We are talking about Thinking here. 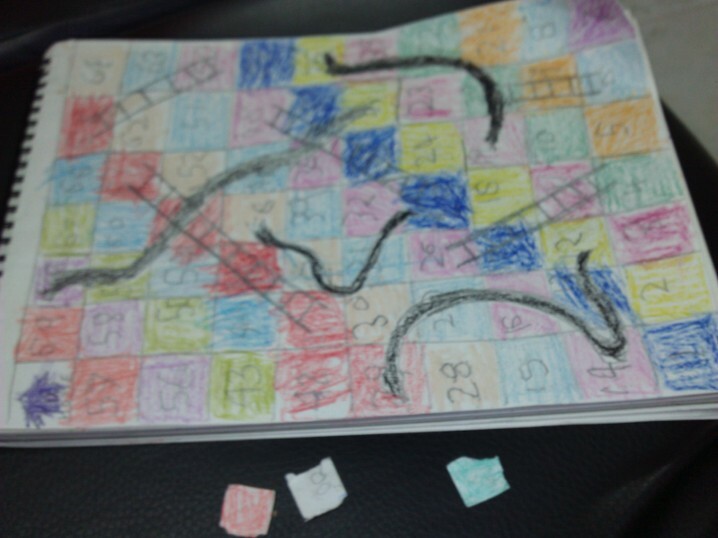 Snakes and ladders made by Venky. He wanted to play Ludo so Vibhu offered that he make it himself. The idea excited him and there it is. Now that Ludo was there, Venky needed the dice to play with. Vibhu said that they’ll make the dice another day as making a 3D cube would require more efforts. They made a 2 faced dice with 2 & 6 counts and played happily with it!